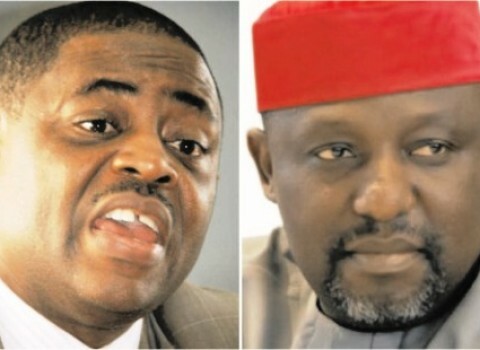 Former minister of aviation, chief Femi Fani-Kayode has blasted Imo state governor, Rochas Okorocha, over the deaths recorded yesterday, August 26, during the demolition of the Owerri Main market, popularly known as Eke-Ukwu Owerri. The former minister made this known in series of tweets on his twitter handle on Sunday, August 27. “When will this pot-bellied illiterate, this filthy, this one-legged ritualist and this ravenous beast stop killing people in Imo? “Calling a mass murderer a mass murderer, a racist,a bigot a bigot,a monster a monster and a tyrant a tyrant is NOT hate speech. 1.Calling a mass murderer a mass murderer,a racist a racist,a bigot a bigot,a monster a monster and a tyrant a tyrant is NOT hate speech. 2.It is called speaking truth to power and it is the life-blood of democracy. Anyone that thinks otherwise needs to go back to school. When will this pot-bellied illiterate, this filthy sodomite, this one-legged ritualist and this ravenous beast stop killing people in Imo? Reports has it that there was controversy surrounding the death of a 10-year-old boy, Somtochukwu Ibeanusi, who was allegedly shot dead by soldiers from the 34 Artillery Brigade, Obinze.